Organize desktop and eliminate clutter with new stylish, weighted desktop organizer. Includes: Post-it Notes 3 in x 3 in, 50 sheet pad, 1 roll of #810 Magic Tape 3/4″ x 36 yd & 4 Assorted Color Flags. 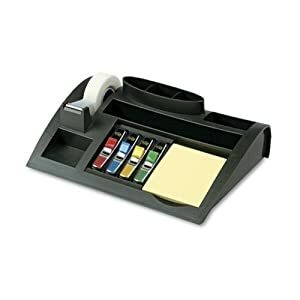 Order now and Receive 25% off 3M Weighted Desktop Organizer (Pack of 2).